Algorithms, algorithms, algorithms. Word on the street is that Instagram is shifting its content feed to ensure that viewers see the content they’re really interested in. Other social media networks have made this switch (namely Facebook back in 2009) and last month Twitter changed its timeline to show tweets out of order instead of the reverse chronological (newest tweets on top). 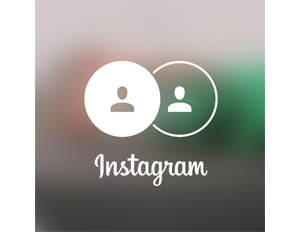 It seems now Instagram has ventured into this area. Analyze your best and worst performing content. Check out Union Metric’s free Instagram tool and determine your most popular post, best performing hashtags, and your top fans. Create engaging content with every picture or video post and be sure to use a CTA Â (call to action)–ask your followers to tag their friends, repost your post, and to double tap to show some love. Pay to Play – It might be time to fork over the cash to get right in front of your target audience with Instagram ads. You can choose from a variety of advertisement types, including video and carousel ads. The bottom line for small business owners and entrepreneurs is to get not only creative, but also become more meaningful with the types of content you’re sharing. Being overtly sales-y isn’t going to cut it anymore. The content you share via social media should be relatable, engaging, and less obtrusive than ever before.